Over the past few years I have been examining the issue of Arctic Methane emissions as part of the effects of global warming. It's an issue that is growing in importance, but also an issue that is deeply misunderstood and misrepresented by the media, and which has attracted far too many conspiracy theorist "climate doomers". 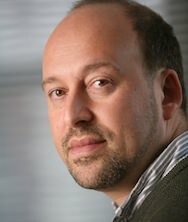 As a result of this mishmash of falsehoods and conspiracies, the issue of Arctic Methane does not have a very good reputation among mainstream climate scientists, and is sometimes used by climate denialists as evidence of crazy unscientific behaviour by advocates of global warming. Of course I am not a scientist, which means that the only thing you, the reader, can truly rely upon is to check my statements and facts with known science. I'm reasonably confident that anyone who does this will find my presentation here to be correct. As the Arctic regions warm up, undersea and underground methane reservoirs will increasingly begin to out-gas into the atmosphere. Methane is a very potent greenhouse gas, and increases in atmospheric methane will significantly speed up global warming and its effects. In the Arctic regions of Northern Canada and Siberia, there exists a layer of permafrost which acts as a "lid" or a "seal" over vast reservoirs of methane gas. This is especially the case in an area known as the Eastern Siberian Arctic Shelf (ESAS), an underwater shelf in the Arctic Sea to the North of Eastern Siberia. This is an area of reasonably shallow sea, with a mean depth of 50 metres. Below the bottom of this shallow sea is a layer of "subsea permafrost" which has remained permanently frozen for many thousands or even hundreds of thousands of years. Beneath this layer of subsea permafrost is what is known as a "sedimentary basin" - a geological feature which is essentially made up of sediment depositions over a very long time (most likely to be from the many rivers that flow out of Eastern Siberia into the Arctic Ocean). Along with river sediments, the basin was also filled up with the biomass of plants and animals from ages past. Over time, this biomass was subjected to heat and pressure, and turned into methane. The situation now is that heat from global warming is now beginning to melt the ice cap. Data from the past few decades has shown that the Arctic ice cap is quickly melting, and there is a reasonable expectation that the ice cap will completely melt during a northern summer some time in the next 10-15 years. Phase Transition - the moving between solid and liquid states of matter - is a process that actually takes a lot of energy to accomplish. Once the ice cap has melted and phase transition is no longer an issue, the temperature of the Arctic ocean will begin to steadily increase. Moreover, a greater mixture of the water column will occur due to the effects of wind and waves - presently this process is prevented over much the north pole during winter by the presence of sea ice, which stratifies water temperature. With a greater mixing of warmer water with water from the bottom, a heat pulse will begin to melt the subsea permafrost. As this subsea permafrost melts, cracks called gas migration pathways will open up, leading to a release of the methane trapped under the ice seal into the water. 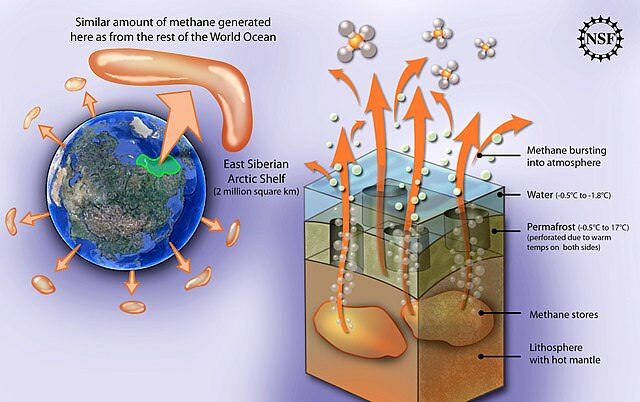 With only 50 metres of sea level, the methane will quickly exit the water and enter the atmosphere, where it will spread over the globe. It is estimated that there are 5 gigatonnes of methane currently in our atmosphere. It is also estimated that the ESAS contains 100s to 1000s of gigatonnes of Methane beneath the permafrost seal. The chances are that 50 gigatonnes of methane could be released into the atmosphere within the next few decades, at most 100 years. A tenfold increase in atmospheric methane would lead to a major acceleration in warming. The best explanation I have read about this issue comes from the Russian scientist Natalia Shakhova, who was interviewed about this subject and explains it here. Shakhova is probably the best person to read and listen to about the subject because she and the others who work with her regularly go into the Arctic to measure undersea methane levels and publish papers about the subject. Shakhova is the source for the 50 gigatonne output. 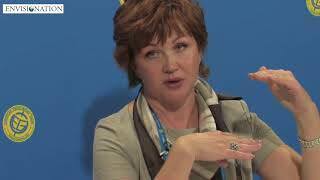 Unfortunately, Shakhova's work has been misrepresented and sensationalised by the media, as well as by the "doomers" and conspiracy theorists. The impression has been that the outgassing of methane is something that would happen suddenly, as though Shakhova's 50 gigatonne prediction might happen tomorrow. Vivid imaginations (like mine) could imagine a massive cloud of methane suddenly bursting out of the Arctic ocean, rising to cover the surface of the earth and quickly turning our world into Venus-like hellhole in which no form of life can survive. People who follow this apocalyptic vision then begin to accuse the IPCC and NOAA of holding back vital information, and that the statistics regularly released on atmospheric methane and global temperatures have been doctored to prevent global panic. Chemtrails and the Illuminti probably get mentioned as well. It's this group, the doomers, that have probably done more to damage this theory than anything else. When I began to study this issue, I contacted climatologist Gavin Schmidt, who kindly responded to my questions promptly. His view is that the methane danger is overblown and its proponents are peddling bad science to scare people. Notably he didn't include Shakhova in this response. When I began to review his comments later on, I realised that he wasn't disagreeing with Shakhova's study, but with the bad science of the doomers. I also realised that he probably did not know the actual situation, which I described in the first few paragraphs. One thing which has coloured the argument is the use of the word "clathrate". In the initial popular understanding of this subject, the idea was that methane clathrates - a combination of water and methane that forms a solid ice like substance - were the threat. 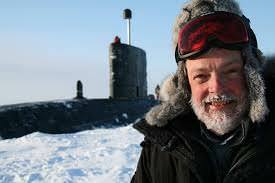 Schmidt rightly pointed out to me that the majority of the world's undersea methane clathrate would not be subjected to such high temperatures for a very long time, because the majority of it was much deeper in the ocean, and the heat pulse from warmer water would take a very long time to reach it. Nevertheless, the 50 gigatonne figure from Shakhova is focused solely upon the unique conditions of the ESAS, which is that a store of methane lies beneath a layer of melting subsea permafrost. How this methane is stored - whether it is a hydrate form or as a liquid under pressure - isn't the issue. Climate scientists like Schmidt are probably more concerned about sensationalist headlines and whether the "Clathrate Gun Hypothesis" is being misunderstood. Of course they should be concerned that bad science is exposed, but in this case I think they haven't done the actual issue - that presented by Shakhova - justice. So what would the impact of a 50 gigatonne methane release be? A 2013 study, "Vast costs of Arctic change", written by scientist Peter Wadhams and economists Chris Hope and Gail Whiteman, estimated that the total cost to the world economy would be $60 Trillion (2012 figures), which is essentially the size of the entire world economy. In terms of the heating effects on the atmosphere, Hope stated "The methane release would bring forward the date at which the global mean temperature rise exceeds 2 degrees C by between 15 and 35 years,". So when will this occur? The answer is that it has probably already begun, but the amount of methane that is being released is too small to make any real difference. Certainly the amount of atmospheric methane has been steadily rising for many years now, but this is due to a large amount of factors (cow burps, fracking, rice farming) rather than the result of Arctic methane. What we can predict is that the process will begin to speed up once the North polar ice cap completely melts during the northern summer. The polar ice cap, which floats on top of the Arctic ocean, has been steadily decreasing in mass for many years now, and, as I stated above, is likely to fully melt some time during the next 10-15 years. Some scientists have named this predicted occurrence "A blue water event", meaning that the Arctic ocean is completely free of surface ice. Of course ice will grow back during the winter months, but the net effect will be less ice, less albedo and more heat storage in the liquid water, and a water column mixing warm water into the shallow bottom of the ESAS, all resulting in a weakening of the subsea permafrost and an increasing amount of methane finding its way into the atmosphere. And of course the effect of this outgassing will not be a sudden event - it will occur over many years, getting worse as time goes by. We'll be able to detect it via methane detection equipment in both the Arctic (Barrow) and in the Equator (Mauna Loa), both of which are in place and have been recording atmospheric methane levels for many decades. There are also satellites currently measuring atmospheric methane levels. But what are the variables? it's one thing for me, a non scientist, to present this situation. It's another to be objective and judicious about it. The first variable has to be the size and strength of the sub-sea permafrost. The permafrost "lid" that Shakhova describes as being under the ESAS cannot be uniformly thick, but must be thicker in some places and thinner in others. Obviously the thicker permafrost will take longer to melt. Moreover, if the thickness of the permafrost is determined to be larger than is currently measured, then its melting will take longer, and the release of methane will be more constrained. Obviously more study needs to be done in this area. 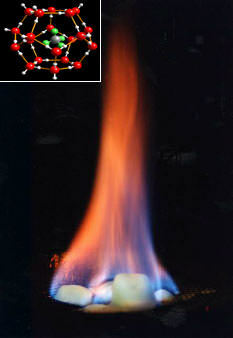 The second variable has to be the size and location of the methane. Like oil reservoirs, methane exists in permeable rock. This means that the methane itself is also unlikely to be a uniform shape and thickness under the permafrost. Recent land based methane outbursts in Siberia show that the underground gas seems to be centred in pockets. Obviously the surrounding geology, affected by the thickness of the permafrost lid, is likely to affect the time and exitent of outbursts. The third variable is the speed at which the permafrost melts. As I have pointed out above, warmer waters and a lack of sea ice will inevitably lead to a melting of the subsea permafrost. But at what speed will this pulse of heat travel at? And what of the experience of phase transition that I have also mentioned, namely that it takes a lot of energy to turn ice into liquid water. At present, the danger of undersea methane in the ESAS is considerable. The effects that it could possibly have upon our planet are dire. More research into the ESAS is desperately needed. Geoengineering to specifically cool the Arctic is also needed.